The great Australian dream of owning a large home with a palatial backyard is shrinking, literally, with average lot sizes in Perth steadily decreasing since 2008. In June last year the average block size was 411 square meters, down by 10 square meters from 2014. As home builders are increasingly releasing narrower and smaller blocks of land in order to keep a lid on prices, freestanding homes with either 10 meter of 12 meter frontages are becoming the norm. Understandably, the first thing that many home buyers think when considering the house and land packages out there is “but it’s just so small”. Sure, home buyers might not get that dedicated home theatre that gets used once a month because the leather furniture was so expensive, but what they will get is ingenious and innovative design solutions wholesale jerseys that allow them to live in a narrow lot home without having to make major compromises. Here we will delve into 3 ways that home buyers can get the most out of a narrow lot home. For home buyers that want to maximise the space available to them on a narrow block, building a two storey home is a good way to go. With a two storey home, home buyers can choose a home design that wholesale jerseys has a Disclaimer double garage, instead of only a single because the block has a narrow 10m frontage, which means that there is additional space upstairs on top of the garage. A double storey home also means that home buyers can have more bedrooms and even separate living spaces. As lot sizes decreased in Perth, a compromise that home buyers tend to have to make is on the backyard, but with a two storey home you can still have that test backyard and outdoor living space that you have always wanted. Many home buyers think that with a narrow lot, the interior of homes built on them will feel small and cramped, which just isn’t true. Home builders specialising in narrow lot homes pay particular attention to this popular notion by taking advantage of natural light so that living spaces feel grand. For single storey homes, high ceilings give living areas a greater cheap jerseys sense of spaciousness while skylights allow natural light to enter the home. When it comes to cheap jerseys two storey homes, mezzanine style levels are used to wholesale nba jerseys open up living spaces to create a more grand feel. Another way to take advantage of natural light is to create a strong connection between the living spaces of a narrow lot home with the outdoors by using floor to ceiling retractable doors порода or entirely glass windows. Not only does an outdoor living area maximise the living space for a narrow lot, it also makes the home design feel more spacious. Traditionally home buyers sought large five bedroom homes with formal dining and living areas that could be sectioned off from one another. Then open plan living gained popularity and kitchens, living areas and dining areas became one. Now narrow lot homes have changed the design landscape again, moving bedrooms to the front of homes and open plan living to the back or wholesale building two storey homes upside down, with the kitchen and living areas upstairs to take advantage of views. The demand for narrow lot homes in Perth is set to continue, so rather than getting bogged down in what once was, we encourage you to change the way you think about home design so that you can create the most functional and innovative space for your home. Have you been thinking about building a new narrow lot home? 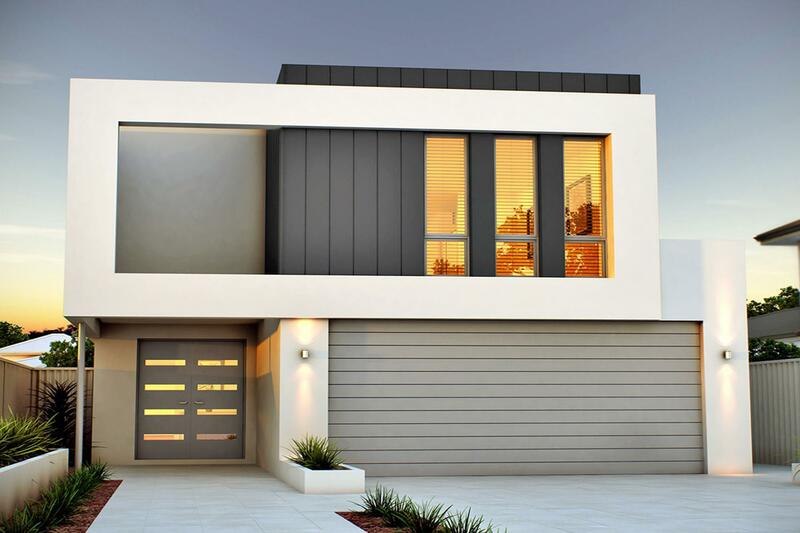 At Renowned Homes we specialise in narrow lot two storey homes that are designed to suit Perth’s 10 and 12 metre block frontages. We have a range of house and land packages available or if you can’t find one that suits you, a package can be customized to suit your unique needs. Contact us on 9202 9255 today.